which makes audience all around the world dance. Wild rhythms. Exotic instruments.Music which doesn´t respect any musical borders. 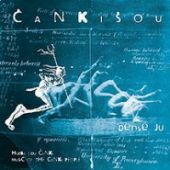 The seven-member band Čankišou unforgettable penetrates the consciousness of listeners both in our country and abroad for its concerts overflowing with energy and wild rhythms which mix various ethnic influences, exotic instruments and rock roots. 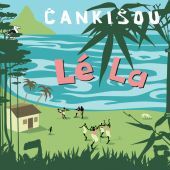 Čankišou with their music which turns the concerts into wild dance whirl travelled the world from the island of Reunion in the Indian Ocean all the way to Pakistan. The band was originally formed by rock musicians at a Christmas party in 1999. 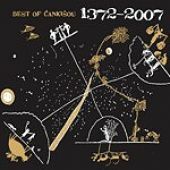 With the help of various instruments from all around the world they jumped into brand new waters of ethno music, world music and they uniquely based their music on the legend of ancient one-legged nation of Čanki people. After more than 10 years of existence, the band has set a firm place in the sunny side of music world and today they are one of the top bands of Czech world music. Čankišou released several successful albums: debut album Hudba lidu Čanki (The Music of Čanki people) full of energy and enthusiasm from newly discovered waters of world music (2000), more reflective album called Densé ju with Mongolian folk song (2004), which the front man brought from Mongolian festival and the third CD called Gamagaj inspired by character of the same name from the book by Umberto Eco called Baudolino (all by FT Records). Numerous tours of faraway regions and various mergers with local musicians are the main source of inspiration in the fourth album called Lé La (2008), which was released by Indies Scope Records. Journalist Jiří Moravčík called it the best world music album in the Czech Republic in 2008 and the band was nominated for the Angel Award in 2008 in the category of world music. 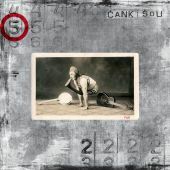 The current album called Faÿt will be released in September 2011, again by Indies Scope Records. 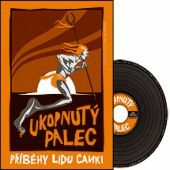 In 2007 a unique book appeared on the Czech book market called Ukopnutý palec aneb Příběhy lidu Čanki (Booted Thumb or The Stories of Čanki people) completed with a soundrack (Julius Zirkus publishing house). It’s a collection of 13 stories by various authors who were inspired by the legend of one-legged nation of Čanki, each was inspired differently. The unique soundtrack contains 13 songs; each short story then inspired particular musician of Čankišou to musical setting. 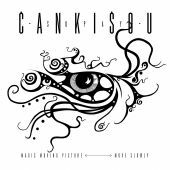 Čankišou have several videos: Sham Sut directed by Pavel Jandourek, Anay Yo was made by Dušan Urbanec from well-respected group VJ Moire and directed by the musician David Synák. The video Zuha, again in cooperation with Dušan Urbanec, was recorded in Pakistan by LP Fish and Sain Zahoor will appear in it. The newest animated Borrega is the work of film schools students in Písek. Čankišou recorded music of Jan Budař for the film appreciated by critics and wider audiences called Nuda v Brně (Boredom in Brno) by Vladimír Morávek. The songs Lebada Roti and A Sta Libera from the album Gamagaj appears in the Czech movie Blízko nebe by Dan Svátek (2005). The singer and front man of the band, Karel Heřman, finished second at the international music festival Chuch Mongolia 2001 (in Mongolia). David Synák, together with Continuo Theater attended EXPO 2005 in Japan and then also EXPO 2010 in China. Karel Heřman appeared in movies Nuda v Brně (directed by Vladimír Morávek), Blízko nebe (d. Dan Svátek), Šílení (d. Jan Švankmajer), Hodinu nevíš (d. Dan Svátek), cooperates with the Theater Neslyším. Čankišou regularly ripple domestic and international festival and club waters, including the most prestigious ones. The band has been to 14 countries, e.g. Gena Festival 2001 in Switzerland, Sziget 2010 in Hungary, Maalmikula 2008 in Estonia, Amsterdam Roots Festival 2007 in Netherlands, World Performing and Visual Arts Festival 2005 and 2007 in Pakistan, Manapany Surf Festival 2006 in Reunion Island in the Indian Ocean, etc. The band also merged with the global world music star Sain Zahoor who won the prestigious award of BBC Worldmusic 2006.